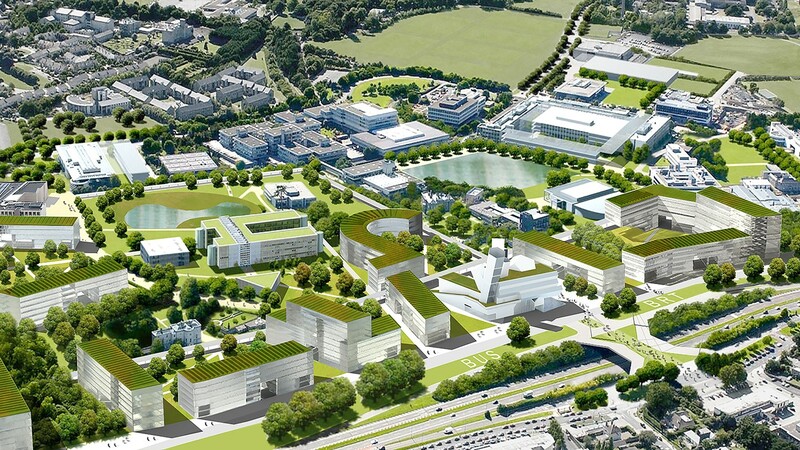 The Masterplan draws on the best global Campus precedents and shapes them for UCD’s beautiful landscape, and for flexible building use and phasing. 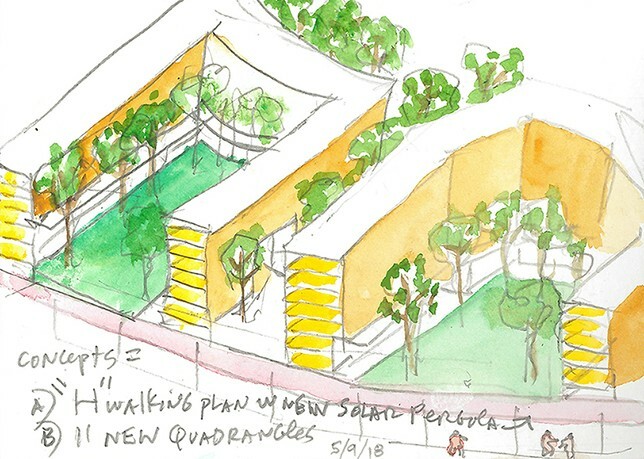 Our big placemaking ideas focus on creating a sense of arrival, forming new Quads and Districts with clear circulation and connectivity between them. 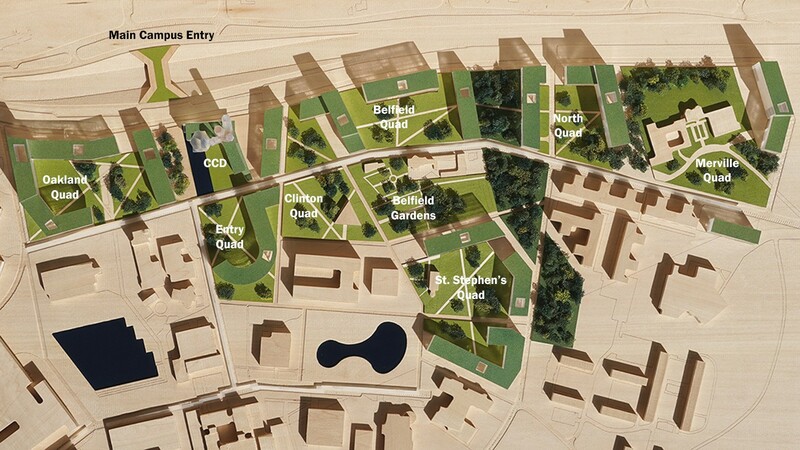 Seven Quadrangles of open, green space are shaped by linear buildings optimized for daylight and linked by an H-Plan circulation route. The circulation route extends the original covered walkways and doubles as the near-net zero infrastructure system. 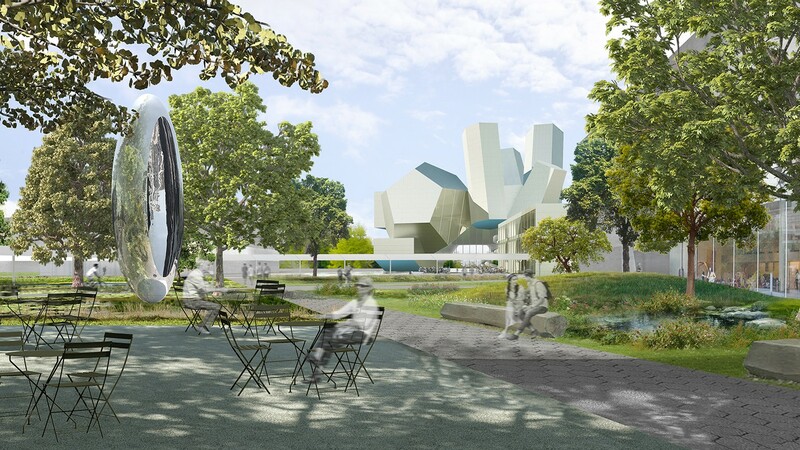 Campus porosity and social space are created through multiple portals that allow free movement between Quadrangles and amenity programs, which are located throughout for gathering. 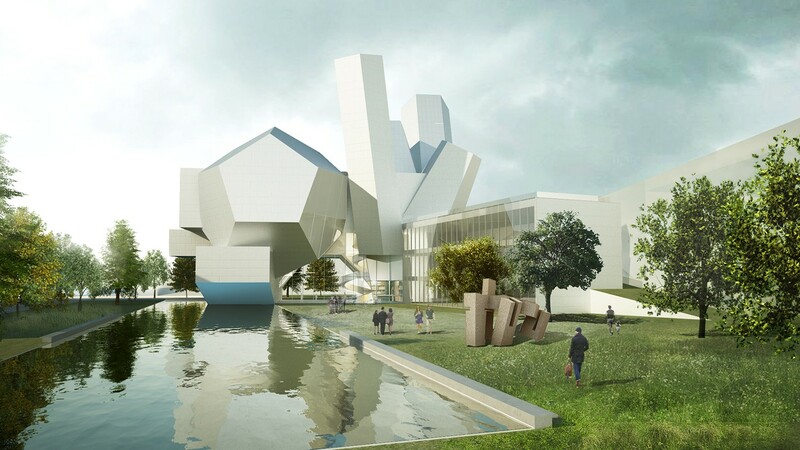 Forums center each building and permit flexibility in organizing wet research, dry research, and teaching spaces in any combination desired in the future. After studying the impressive historic features and woodlands of the Campus, we shaped the Quadrangles to provide heightened presence to these existing features. 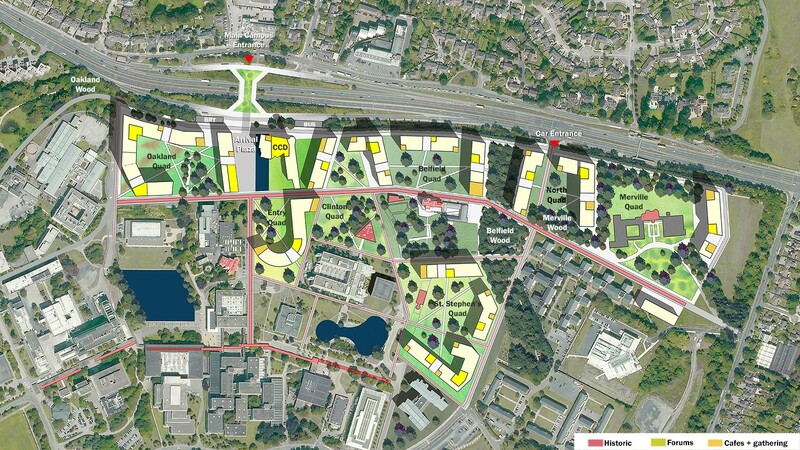 The Quads are organized into legible Districts: an Arrival and Welcome District with the new CCD and conference centre, a core Academic District for teaching and research, and an Innovation and Outreach District, each one adjacent to similar existing programs. 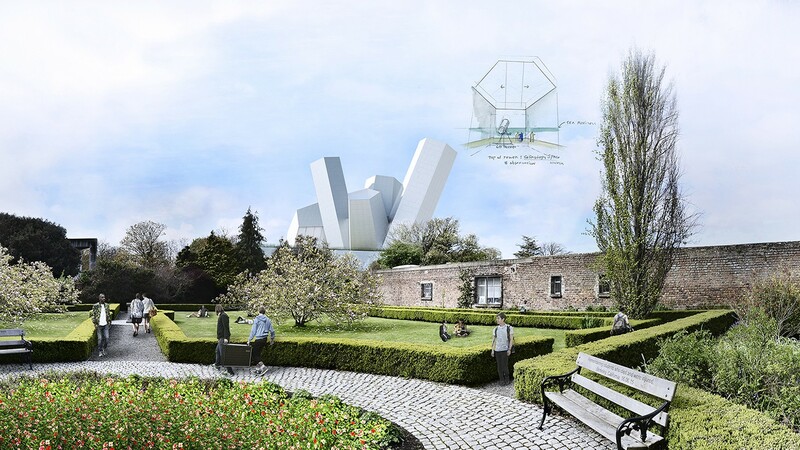 The landscape spaces are animated by water retention ponds, rain and wind-protected seating areas and the preserved remarkable specimen trees.